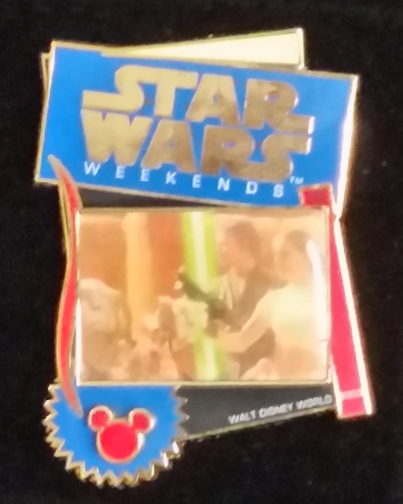 Available only during one weekend of Star Wars Weekends at Disney-MGM Studios in Walt Disney World, the pin features Attack of the Clones Geonosis arena outfit on one side and a Star Wars Weekends logo on the other. 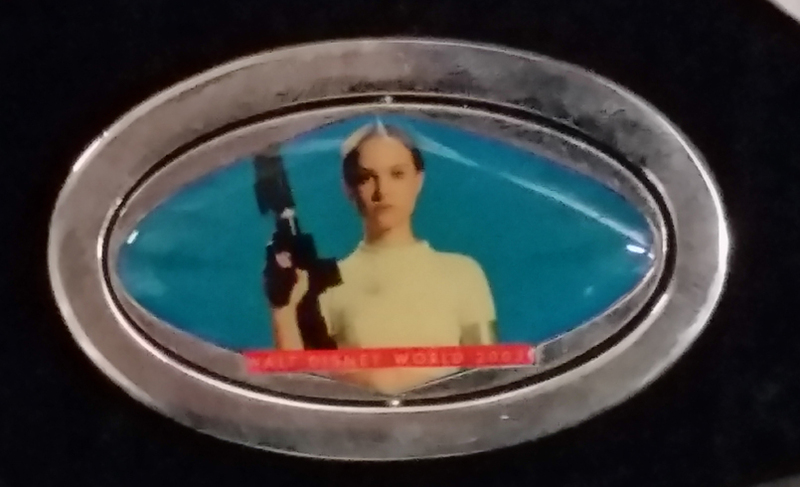 The image can be spun so either image is visible. 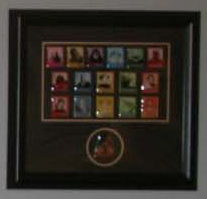 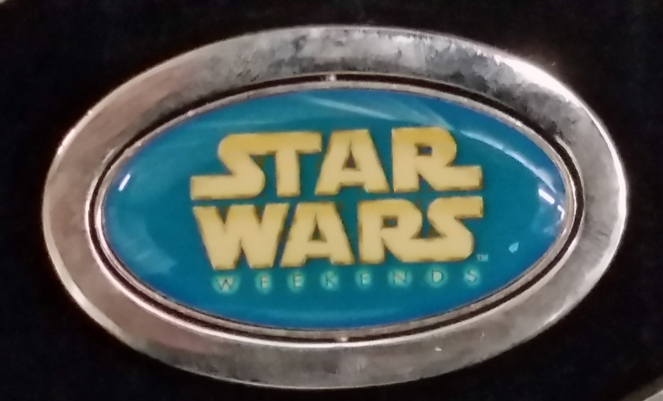 I purchased this pin during Star Wars Weekends 2003 with help from my aunt.